In what is believed to be the first case of its kind, a judge in Doncaster has thrown out a motor claim after GPS data from a telematics device supplied by the insurer demonstrated that the motorists involved had behaved fraudulently and staged the accident. London, 9 October 2015 – The case revolved around a 27-year-old motorist from Doncaster, who made a claim after his car had been involved in a rear-end collision driven by an Insure The Box policyholder in a remote location in South Yorkshire in March 2013. Both drivers denied knowing each other and claimed it was a genuine accident. However, data from the telematics box installed by the insurer showed that the policyholder had visited the claimant’s home on at least 50 occasions. During the trial, the claimant was questioned extensively about his knowledge of the other driver, who did not attend. District Judge Rodgers found that the collision had been pre-planned and therefore the claim was fundamentally dishonest. He said it was ‘incredible’ that the claimant could allege that, despite their obvious connection, the two drivers were acting like strangers. He ordered him to pay £14,400 in costs to Insure The Box. “Insure The Box have been trailblazers in their use of telematics data within the claims process and this case is a great illustration of how that data can be used to identify fraud. In this case telematics data acted as both the initial trigger that highlighted the claim as being suspicious and as part of the evidence used to defeat the claim,” said Jamie Taylor, Counter Fraud Director at DWF LLP, who acted for the insurer. Neil Joslin, Chief Claims Officer at Insure The Box, added that this case was just the tip of the iceberg because the vast majority of fraudulent claims identified by the company were withdrawn once telematics evidence was demonstrated. The Insure The Box operations centre in Newcastle has unique state-of-the-art facilities that enable the company to use telematics data to identify and analyse cases of potential fraud. Our customer was accused of causing an accident in Bristol. Data confirmed the 33 yearold man from Kent was in London at the time and had not visited the Bristol area on the alleged incident date. A case in Merseyside between two parties, who claimed they had never met, showed the policyholder visiting the address of the third party over 80 times, before eventually making a claim for the third accident of that day. Examples of staged accidents can also draw in innocent third parties. One recent case in Dartford showed the car circling the same two roundabouts several times before brakes were slammed on causing the vehicle behind to collide. This case was all the more shocking as the claimant turned out to be the director of an accident management company. The Association of British Insurers estimates that fraud adds £50 to the annual insurance bill for every UK policyholder. 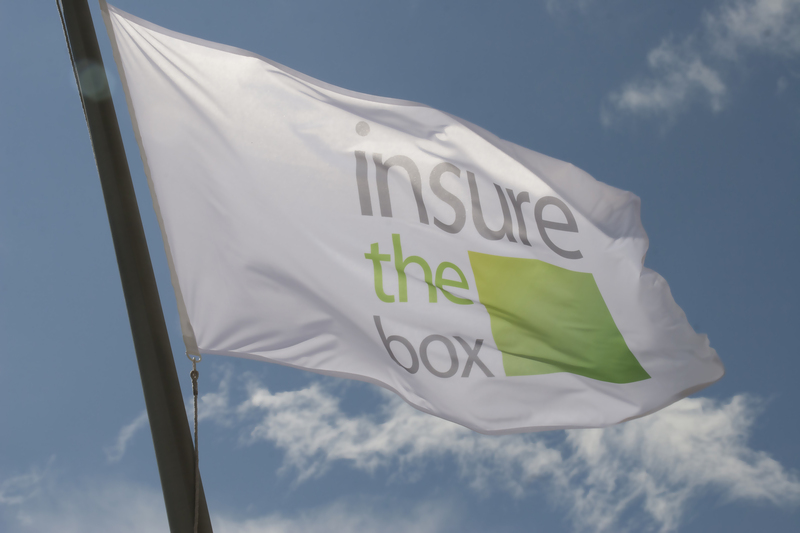 Insure The Box went live in June 2010, and is the UK’s largest telematics (or black box) insurer. Its brands include insurethebox and drive like a girl, and it also administers the Tesco Bank Box telematics offering. The Japanese insurer ANDIE (Aioi Nissay Dowa Insurance Europe) acquired the majority stake of Insure The Box Limited in March 2015. Together they are taking a leading role in the development of technologies that will change the face of motor insurance and the way we view the car.